After a long time wishing for this baby to come, he/she will be finally coming to our lives April 1st, 2018! We’re so happy and tremendously thankful for this blessing! 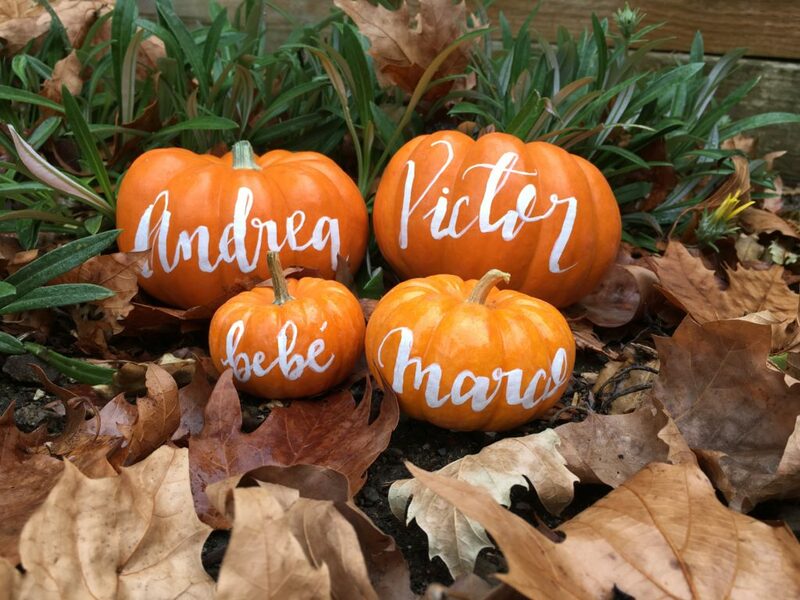 Or course, being a lettering nerd I wanted to incorporate something of my art to make his announcement and since it is Fall, the best way to do for me was lettering on pumpkins! For this project I bought real pumpkins at my local grocery store, wipe them clean with a wet cloth and then I dried them with a paper towel. I tried lettering first with my favorite Molotow marker but the texture didn’t make it very opaque. Same thing happened with the Sharpies Acrylic Water based.. 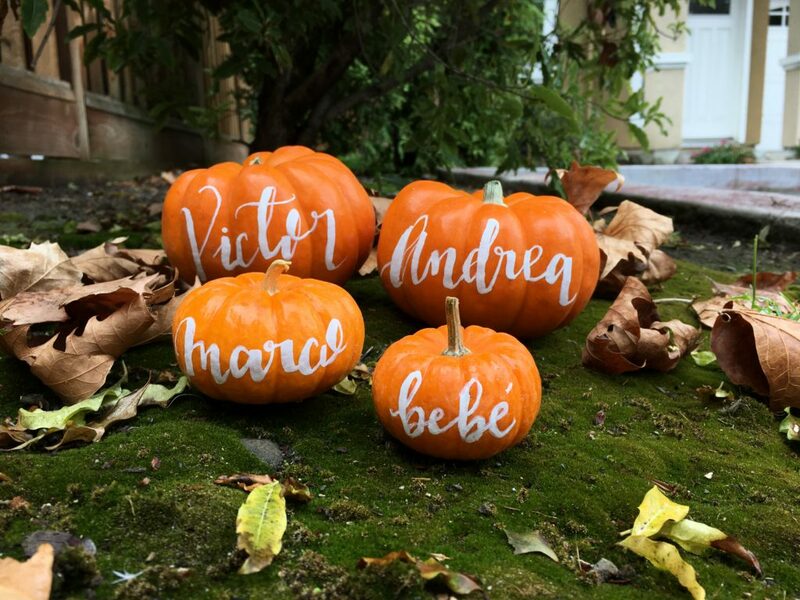 They just didn’t stick plus they created like a rough coat in some patches (you can still see those in the “bebé” littlest pumpkin). So at the end, the best marker for this project for me was the Chalk Ink Chalk Marker. It sticked, it was opaque and it didn’t create layers of ink leaving a rough look. So, Chalk Ink Marker… Approved! Also, little detail but the chisel tip is always great to create the thin and thick lines and give it more of a faux calligraphy look. Enjoy the fall season friends!